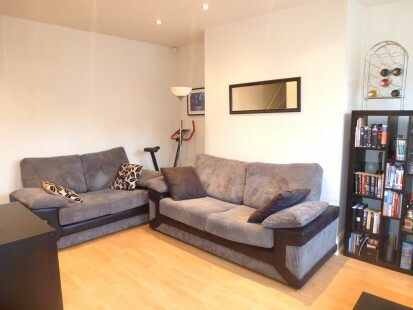 With generous accommodation arranged over four floors, this superb mid-terrace property briefly comprises: Lounge with laminate flooring, two settees and dining suite. The separate fitted kitchen features a range of units with appliances to include stainless steel integrated electric oven and gas hob, washing machine, fridge and freezer. To the lower floor there is a double bedroom with built-in wardrobe, a further study/store room and separate shower room with wc. To the first floor is a large double bedroom with fitted wardrobes and a further study/bedroom. The second floor features a large double bedroom and house bathroom with modern white suite including bath and shower. Additional benefits to the property include UPVC double glazing throughout, gas central heating and patio area to the front. Ideally situated within close proximity to local amenities - shops, leisure complex, restaurants with excellent train and transport links for city and major routes.